At Mazda of Escondido, you can find lease offers on a variety of high-quality new Mazda models. Explore below to check out current specials–whether you are looking for Mazda3 lease deals in San Marcos or Mazda CX-9 lease deals in Vista, you can get a great vehicle from Mazda of Escondido. Our helpful leasing guide can take you through the process from start to finish — even if you’d like to lease with bad credit. Our low-pressure philosophy and friendly bilingual staff leave customers with a positive shopping experience. We’ve been in business for over 24 years and hope to continue to serve the community and their interests for years to come. Our skilled technicians in the Mazda of Escondido Service Center will help keep your Mazda in good condition for the time or your lease so you can get a great upgrade when your lease is up. Our Synchrony Car Care™ credit card program can help you save on maintenance and repairs. 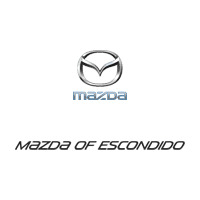 Let Mazda of Escondido help you find the lease that fits your needs in Carlsbad area. If you want a spacious SUV with all-wheel drive, consider our current Mazda CX-5 lease deals. If you want a fuel-efficient sedan with safety features like blind spot monitoring, explore our Mazda sedan lease deals in the area. We appreciate your interest in our inventory, and apologize we do not have model details displaying on the website at this time. Please fill the form out below and our team will quickly respond, or, please call us at (855) 536-6443 for more information.